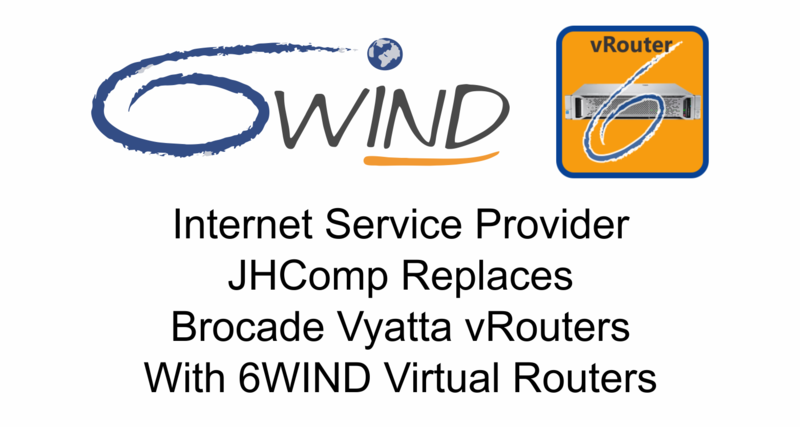 Santa Clara, CA and Paris, France, February 6, 2019 – 6WIND, a high-performance networking software company, today announced that JHComp, an Internet Service Provider (ISP) based in Czechia, successfully replaced its Brocade Vyatta vRouters with 6WIND’s 10G Turbo Routers. JHComp deployed 6WIND’s virtual routers, or vRouters, as software appliances on the same SuperMicro commercial-off-the-shelf (COTS) servers as its previous Brocade vRouters, without any changes to its configuration. 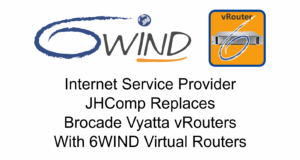 JHComp selected 6WIND’s 10G Turbo Routers to resolve performance, stability and scalability challenges from its previous Brocade Vyatta vRouters. The ISP tested 6WIND’s vRouter for features and performance in a Border Router configuration. The feature configuration test included a BGP link to upstream traffic and an OSPF link to downstream traffic, IPv4/IPv6 IP Forwarding, Dynamic Routing, NAT and Firewall. Testing confirmed a performance, stability and scalability improvement versus the previous solution. 6WIND’s vRouters are available in bare metal and virtual machine (VM) configurations and run on COTS servers. They include Turbo Router and Turbo IPsec software packages with license options from 1G to 100G throughput and 1,000 to 100,000 IPsec VPN tunnels. Built with DPDK (Data Plane Development Kit) for networking performance, 6WIND’s vRouters scale up to 12 million packets per second per core of IP Forwarding and 18 Gigabits per second per core of IPsec. Management options include a CLI and NETCONF/YANG-based APIs for integration with third-party network management solutions.